BEST SOUTHWEST—Despite triple digit temps hundreds of Best Southwest residents took part in National Night Out activities. 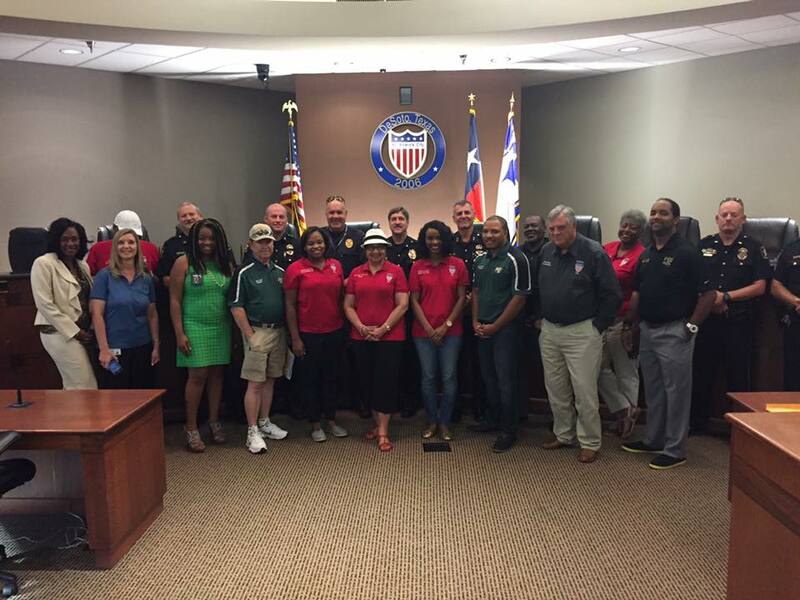 For over thirty years the National Night Out campaign has been touted as an event that encourages and promotes positive relationships between law enforcement agencies and the people they serve. With the rash of officer-involved shootings across the country this year’s convergence of police and community members may have been more poignant than ever before. National Night Out was established in 1984 as a free community-building event. Police departments and other emergency personnel meet the public and provide information. 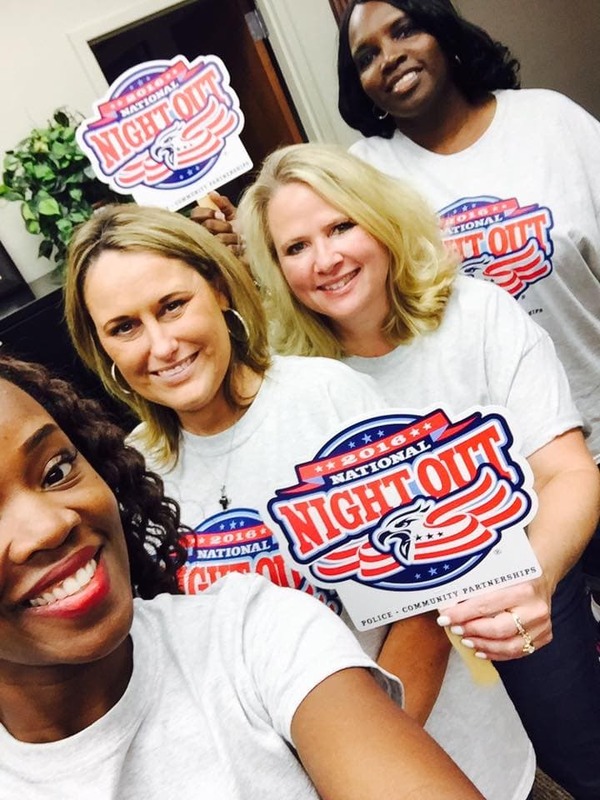 National Night Out is usually held the first Tuesday in August. In the past states like Texas and Florida have had the option of postponing the event until October when the 100-degree days subside. Traditionally the face time between police, business leaders, elected officials and residents is thought of as a community policing initiative. 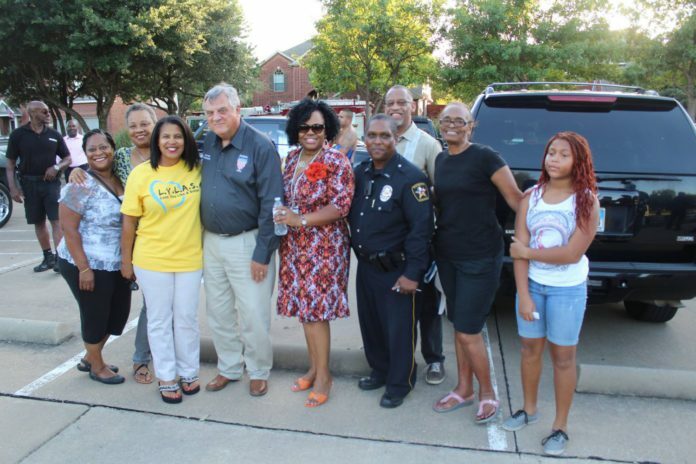 DeSoto City Council Members, DeSoto ISD Board Trustees and DeSoto Police joining together to make the rounds at more than 10 neighborhood block parties during National (DeSoto) Night Out. DeSoto boasted more than 10 neighborhood block parties Tuesday night. At each event there were fun, food and information for all in attendance. Police also say that the Neighborhood Crime Watch program can be a springboard for many other efforts to address the causes of crime, reduce crime, and target harden. Lancaster Residents participate in local National Night Out events. “Target Hardening is making yourself, your home, your car, your business and the community a harder target for the criminal. If we make things harder targets it will drive criminals out of the area, criminals are lazy and if something is harder for them to take or steal then they will go somewhere else,” Sisk adds.